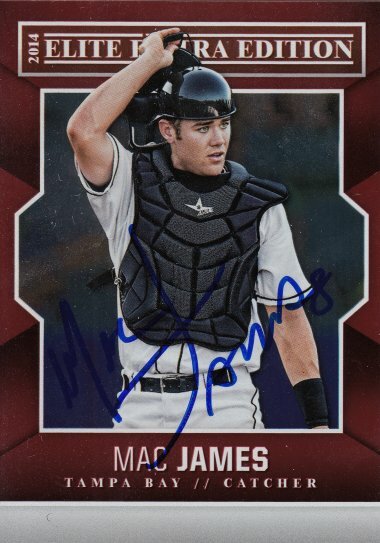 I met him at a Minor League game at McKechnie Field in Bradenton, Florida in 2016, when the St. Lucie Mets came to play the Bradenton Marauders. 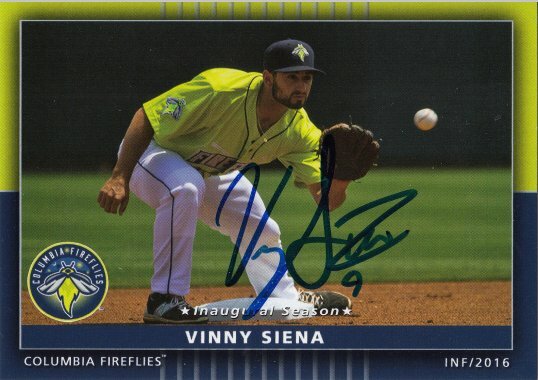 Vinny signed a 2016 Columbia Fireflies Team Set card. 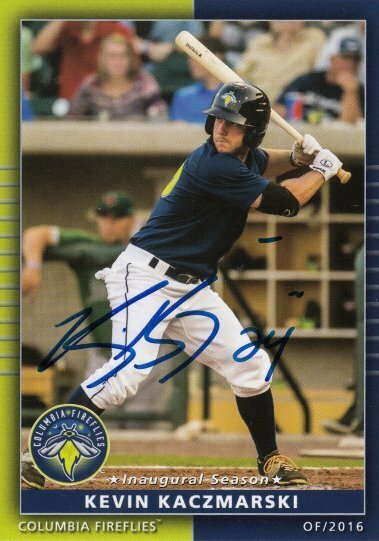 Kevin signed a 2016 Columbia Fireflies Team Set card. I met him at a Minor League game at Bright House Field in Clearwater, Florida in 2016, when the Tampa Yankees came to play the Clearwater Threshers. 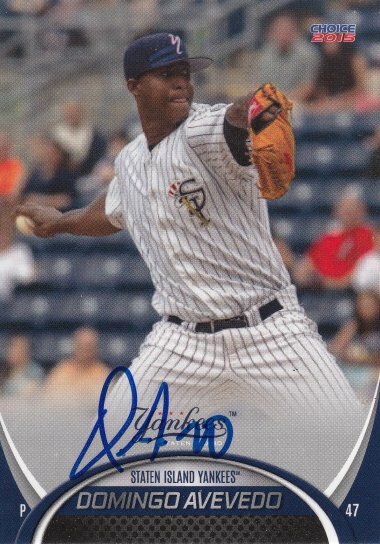 Domingo signed a 2015 Staten Island Yankees Team Set card #01. The card incorrectly spells his last name. I met him at a Minor League Clearwater Threshers game at Bright House Field in Clearwater, Florida in 2016. 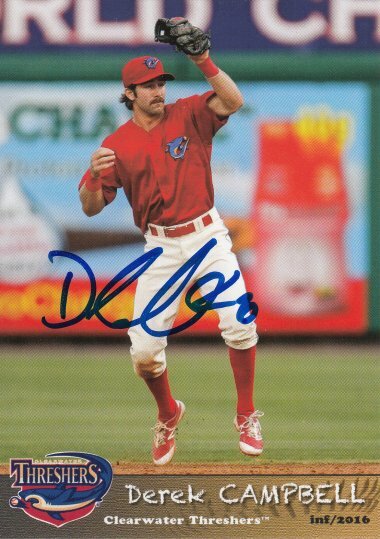 Derek signed a 2016 Clearwater Threshers Team Set card. 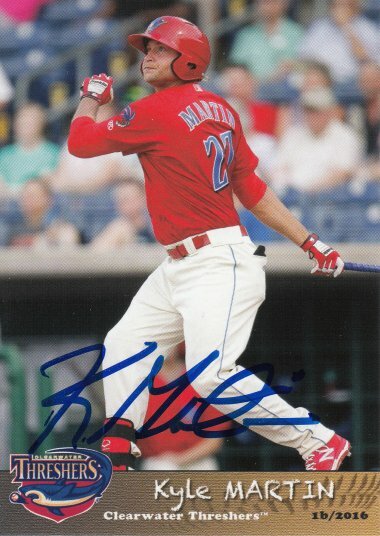 Kyle signed a 2016 Clearwater Threshers Team Set card. I had met his brother, Chadwick just a few weeks earlier. 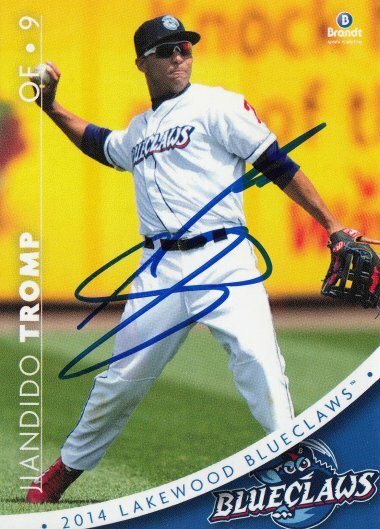 Jiandido signed a 2014 Lakewood Blueclaws Team Set card #26. 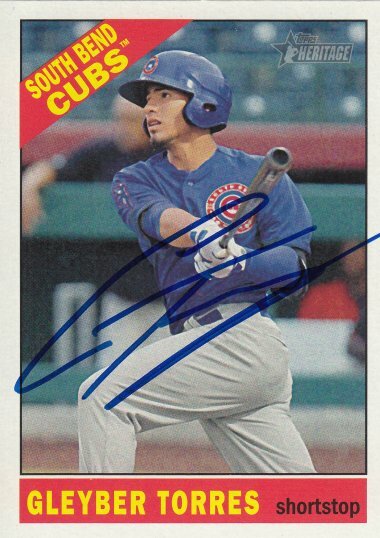 Gleyber signed a 2015 Topps Heritage Minor League card #112. 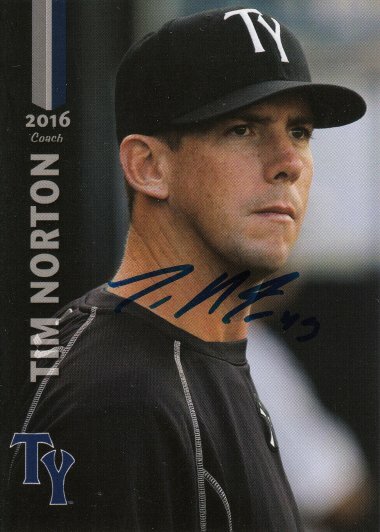 I met him at a Minor League game at Bright House Field in Clearwater, Florida in 2016, when the Tampa Yankees, whom he was the hitting coach for, came to play the Clearwater Threshers. 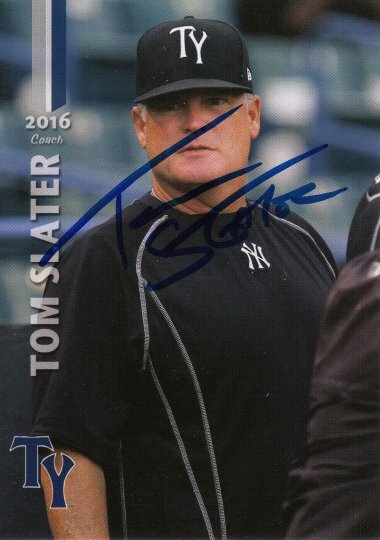 Tom signed a 2016 Tampa Yankees Team Set card. 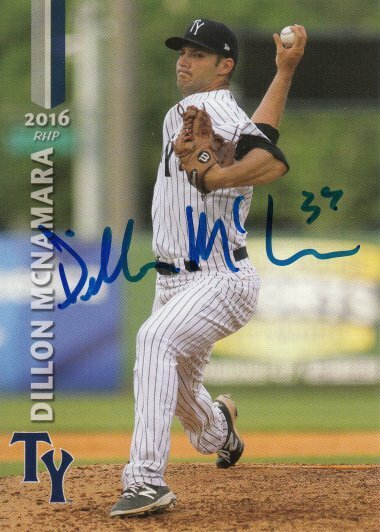 Dillon signed a 2016 Tampa Yankees Team Set card. 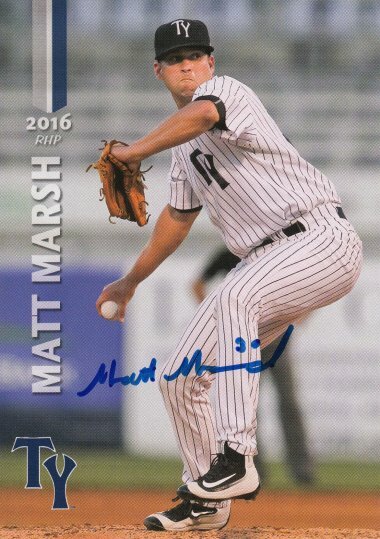 Matt signed a 2016 Tampa Yankees Team Set card. I had met his father, Jose in 1992, a year before Jose Jr. was even born. 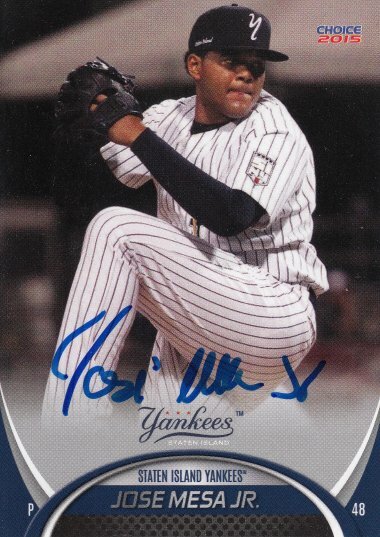 Jose signed a 2015 Staten Island Yankees Team Set card #22. 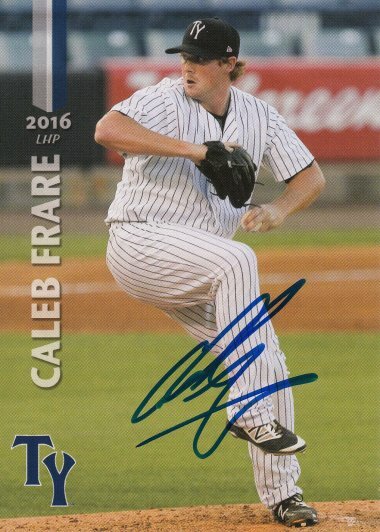 Caleb signed a 2016 Tampa Yankees Team Set card. I met him at a Minor League game at Bright House Field in Clearwater, Florida in 2016, when the Tampa Yankees, whom he was the pitching coach for, came to play the Clearwater Threshers. 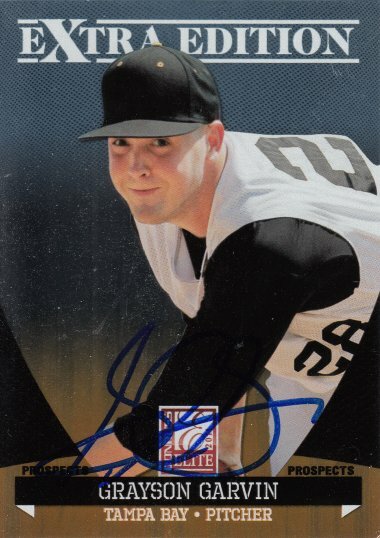 Tim signed a 2016 Tampa Yankees Team Set card. I met him at a Minor League Tampa Yankees game at George M. Steinbrenner Field in Tampa, Florida in 2016. 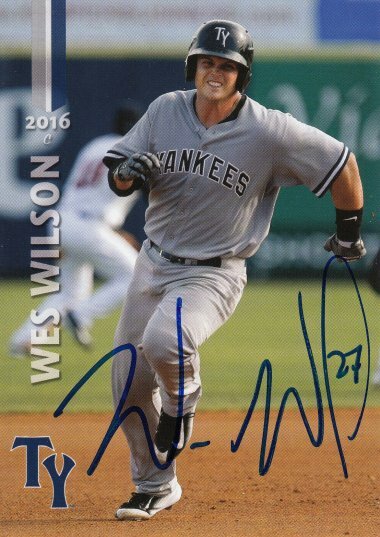 Wes signed a 2016 Tampa Yankees Team Set card. 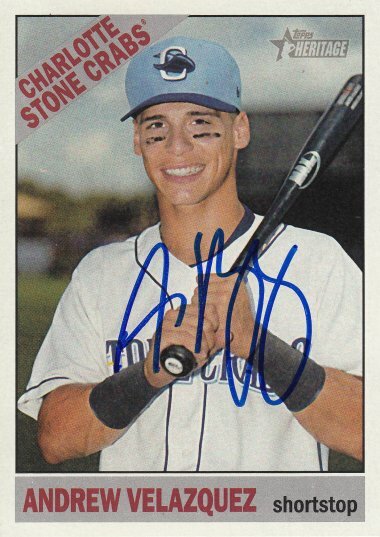 I met him at a Minor League game at George M. Steinbrenner Field in Tampa, Florida in 2016, when the Daytona Tortugas came to play the Tampa Yankees. 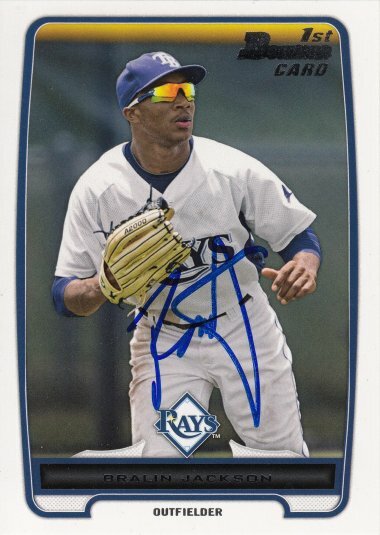 Avain signed a 2016 Daytona Tortugas Team Set card. 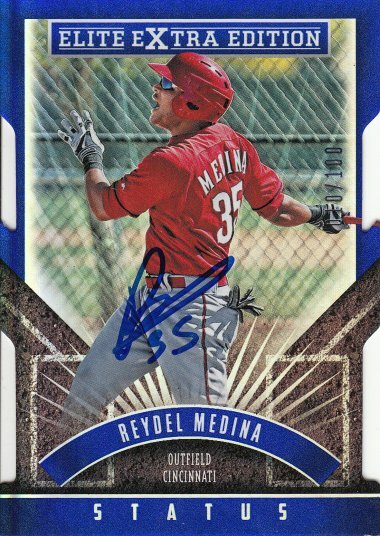 Reydel signed a 2015 Panini Elite Extra Edition Status Blue Die-Cuts card #142 (010/100). 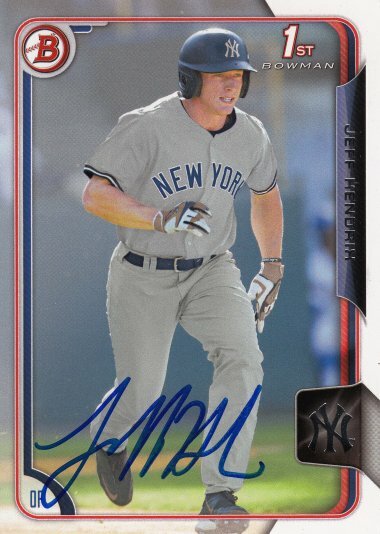 Jeff signed a 2015 Bowman Draft card #192. 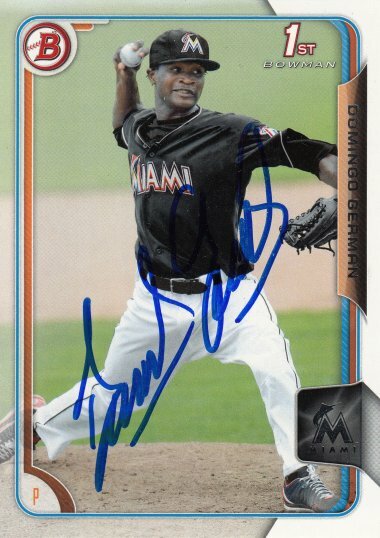 Justus signed a 2014 Bowman Draft Picks & Prospects card #DP27. 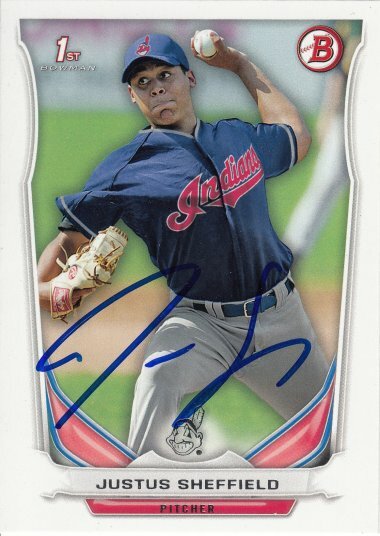 Domingo signed a 2015 Bowman Prospects card #BP118. I met him at a Minor League game at Bright House Field in Clearwater, Florida in 2016, when the Fort Myers Miracle came to play the Clearwater Threshers. 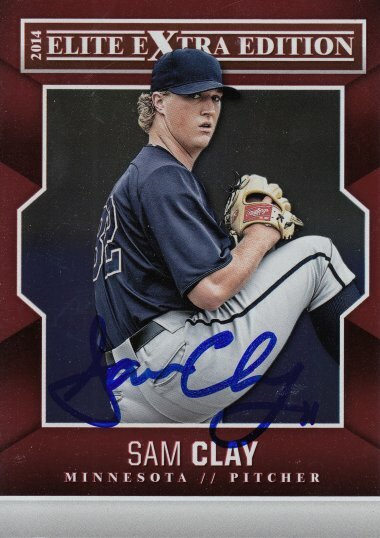 Sam signed a 2014 Panini Elite Extra Edition card #71. I met him at a Minor League game at Bright House Field in Clearwater, Florida in 2016, when the Fort Myers Miracle, whom he was the pitching coach for, came to play the Clearwater Threshers. 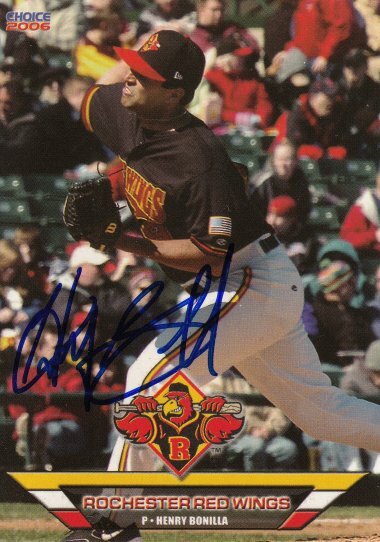 Henry signed a 2006 Rochester Red Wings Team Set card #04. 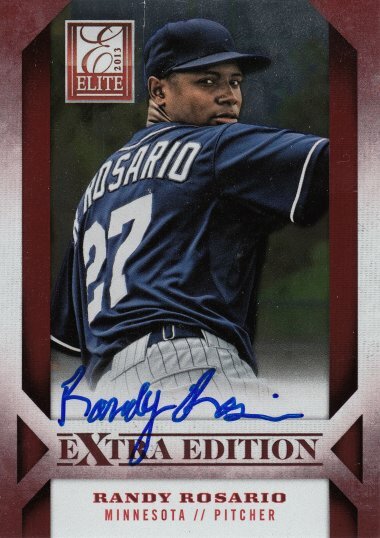 Randy signed a 2013 Panini Elite Extra Edition card #83. Luke signed a 2012 Bowman Draft Picks & Prospects card #BDPP15. 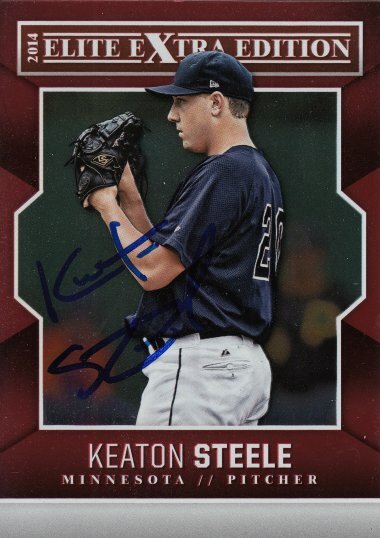 Keaton signed a 2014 Panini Elite Extra Edition card #91. 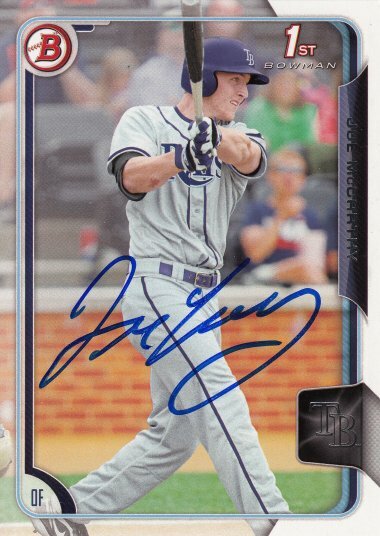 Joe signed a 2015 Bowman Draft card #12. 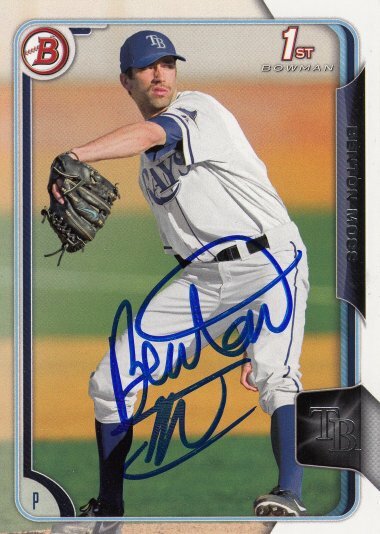 Benton signed a 2015 Bowman Draft card #35. 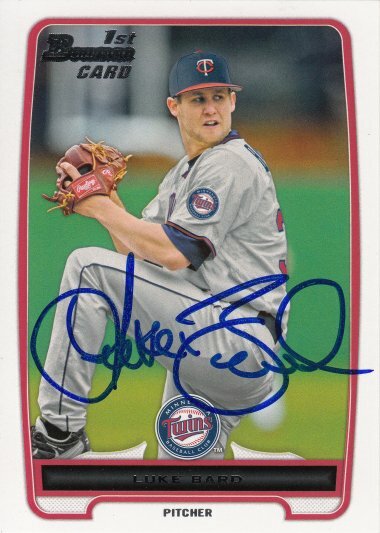 Andrew signed a 2015 Topps Heritage Minor League card #87. I met him at a Minor League game at Bright House Field in Clearwater, Florida in 2016, when the St. Lucie Mets came to play the Clearwater Threshers. 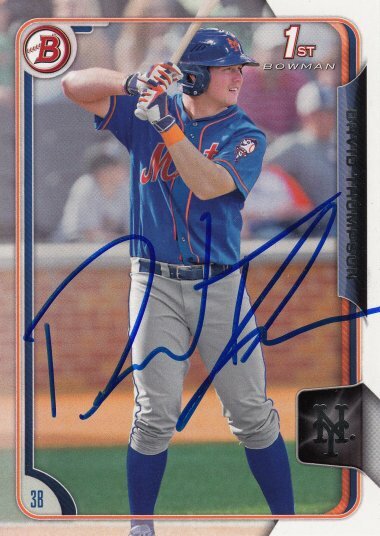 David signed a 2015 Bowman Draft card #124.